When money is tight, going to the dentist is often more a case of “nice to have” rather than “need to have”. Minor problems are easy to treat, but if neglected they can get worse, affecting both your health and your pocket. Average expenditure at the dentist by Spanish consumers was around 600€ last year. Implants tend to be the most common expense, followed by orthodontics. But regular procedures, such as fillings, extractions and hygiene soon add up, with costs multiplying for families. Take a look at our tips on how to save when visiting the dentist. Prevention Is The Best Cure, And Offers The Best Savings! 95% of adults in Spain suffer from tooth decay, according to a survey by the General Council of Dentists. The average price for a filling is 65€, but it can be the beginning of other dental problems that in the end can cost a lot more. When you look after your health, you also look after your pocket. Maintain good oral hygiene (brushing and flossing after meals) and visit your dentist twice a year. Check ups are normally free in Spain. However, the number of dental clinics has increased exponentially over the last few years, so there’s obviously money to be made by these professionals! With over 26,000 dental clinics and nearly 40,000 dentists, there’s plenty to choose from. Always request a written price quote for any work, not a verbal estimate. Then visit at least one other dentist to see what work they say you require and compare prices. You could consider using the website Compara Dentistas (only available in Spanish) which compares prices from different professionals for your required treatment. If you have a limited budget, many cities offer dental consultations at Spanish universities. Here undergraduate and graduate students treat patients, always under supervision! Prices are generally less than half those charged at private dental practices. Visits to the dentist at the Complutense University in Madrid have multiplied sevenfold in the last decade. This can often mean that waiting lists are long. Dental specialties at these universities cover all areas, including orthodontics, oral surgery, periodontics, prosthetics and child dentistry. Check locally as not all universities offer dentistry degrees. Everyone wants to have a perfect smile and completely white teeth. Which is great when money’s not a problem. However if you’re trying to save, focus on your health (such as preventing tooth decay) and leave treatments that only affect your appearance for the future when money is not an issue. Although it may seem counter-intuitive, sometimes paying for private health insurance can work out cheaper if you need extensive dental work. Why? 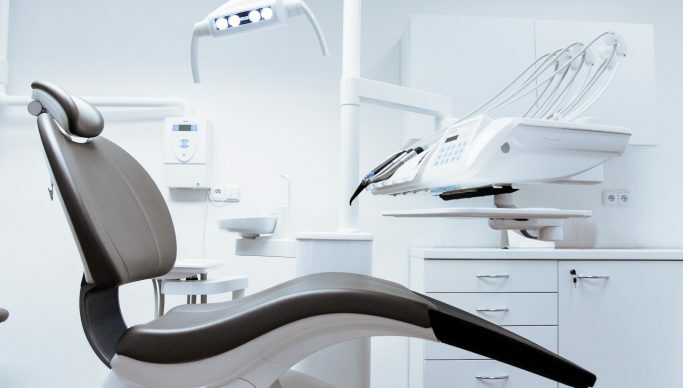 Because dental clinics that belong to the Insurer (such as Sanitas or Asisa) have already arranged for preferential rates for each type of treatment. You can easily find the price of the monthly premium for dental policies online. However remember that some companies require you to have been a customer for 6 or 12 months in order to access preferential rates. Alternatively you may have instant access but you’ll have to sign a contract that locks you in for a year. Remember that policies from different insurers may not provide the same cover. Check before you sign up. Pre-existing conditions may not be covered. 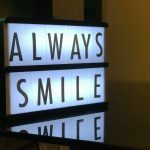 Several major dental franchises in Spain, with multiple branches all over the country, went bankrupt in the last few years. When they closed clients were left out of pocket, having paid upfront for extensive treatment. However paying by instalments may come with interest, making it more expensive. Ask at the clinic about payment options, do the numbers and decide what’s best for you. Going Abroad For Treatment? Think Twice! In the last decade there has been an increase in dental clinics in Eastern Europe and even further afield that offer significant discounts if you need major work doing. There are lots of success stories, but also lots of horror stories. Do your homework and don’t rely on the dentist’s website for information. Google the dentist’s name (or dental practice) to find reviews from real people. What Happens If I’m Not Happy With The Treatment Provided? As with any service, if you’re not happy you can make a claim against the dental practitioner in Spain. However it’s not a case of your word against theirs – normally you’ll have to be assessed by a medical expert. Your first step should be to send a written claim to the dental practice explaining the situation and what problems have arisen. Once you receive a reply you can decide whether to take the case to the civil court. Many dental practices (or franchises) decide to settle out of court in order to avoid a long and expensive case. If you are offered an amount, check the agreement you‘ll be offered carefully regarding your rights in the future.